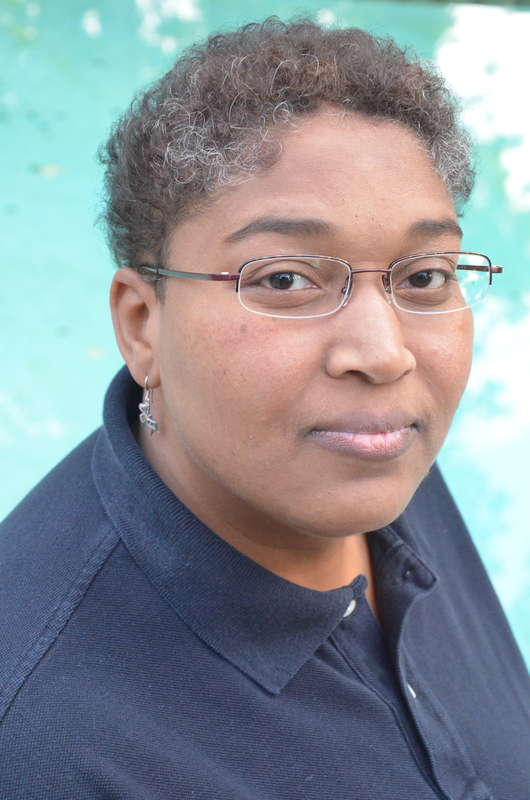 Devonya N. Havis, is an Associate Professor of Philosophy at Canisius College in Buffalo, NY. She has taught courses in Ethics, Contemporary Continental Philosophy, Critical Philosophy of Race, and Black Women’s thought at Boston College, Harvard University, and Virginia Union University. Her writings include “Blackness Beyond Witness” in Philosophy and Social Criticism and “Discipline” in the Cambridge Foucault Lexicon. She has a longstanding concern with utilizing philosophy to enhance awareness and promote counter-oppressive practices. Her chapter, “‘Seeing Black’ through Michel Foucault’s Eyes: ‘Stand Your Ground’ Laws as an Anchorage Point for State-Sponsored Racism,” is included in, Pursuing Trayvon Martin: Historical Contexts and Contemporary Manifestations of Racial Dynamics. I would like to thank Dr. Krishnamurthy for cultivating this Blog and giving me an opportunity to share a few ideas about my work and experience. Growing up in Jackson, Mississippi, I was deeply influenced by Black ancestral discourses, activists who organized for SNCC, and intellectual traditions that prized education for its liberatory possibilities. I earned a B.A. in Religion from Williams College with concentrations (minors) in Asian Studies and Philosophy. After graduating, I pursued several professional tracks before graduate school: working as a staff reporter for a black-owned, Boston-based news weekly; writing copy for a fair housing advertising campaign; and serving as a press aid to a Boston City Councilor. My experiences led me to graduate school at Boston College where I earned a Ph.D. and pursued ways of utilizing philosophy to enhance awareness and promote counter-oppressive practices. Currently I am an Associate Philosophy Professor at Canisius College, a Jesuit institution with a strong social justice tradition. Working as a teacher-scholar continues to facilitate my long-standing commitments to social justice. In particular, my focus has been not simply the ways Blacks have survived oppressive conditions but also how, in the crucible of these conditions, there is a survival aesthetic that fosters creation even in the midst of the desert. This aesthetic is not merely artistic but fosters ethico-political philosophical interventions that contest oppressive circumstances, provide strategies and tactics for resistance, and occasions for celebration. As marginalized people are primarily characterized only by their oppression, what is left out are the unique rites, rituals, practices, and methods of critique that form different cultural repositories that give rise not only to survival but also innovative forms of resistance. Much of my philosophical work has been devoted to articulating the philosophical practices cultivated within Black ancestral discourses. The questions at the forefront of my research and teaching have prompted me to explore what might constitute Black Women’s Philosophies, how the French philosopher Michel Foucault can be used to illustrate state-sponsored racisms embedded in “Stand Your Ground Laws,” and ways of using parhessia as an index for liberatory practice. My current book project’s working title is Creating a Black Vernacular Philosophy. I have also co-developed an academic seminar that immerses Canisius College students in the context of Buffalo’s predominantly Black East Side communities. As an illustration of my assertions, I offer the following tale about a ten-year-old little girl coming of age in the Deep South. “She arrives at school on the first day, primped, pinned, hair coifed, shoes polished, and in new, crisply ironed clothes. A fifth grader, she is attending a new school learning the different rites and rituals. Following morning announcements, the children stand next to their seats with their hands on their hearts to say the pledge. Only this is a classroom in Mississippi where students – all races of students – pledge first to the Mississippi state flag and then to the U.S. flag. It is not a segregated classroom – even though most of the children are black. The time is closer to the millennium than the 1960s. Yet, it is still a time when the State of Mississippi preserves its southern heritage with a flag that bears the “stars and bars,” an image of the Confederate flag and all that it symbolizes featured prominently in the left corner of the Mississippi state flag. The meaning of the Confederacy and its flag are apparent to the little girl. She looks around the classroom to see if any of her classmates register shock or even outrage. Her classmates, standing poised to pledge in unison, stare at the flag for the brief seconds it takes for everyone to gather themselves for collective speech. There is no outrage, no reflection on the flag’s meaning. Everyone but the little Black girl is bound to this ritual. She stands, hands at her sides, outraged by the Confederate flag, and confused by the teacher’s inaction. Her gut tells her that open questioning will not be tolerated but she has decided that she cannot, will not consent – let alone pledge allegiance – to a flag that symbolizes unfairness and inequality. The little girl remains standing but she does not raise her right hand or her voice in salute to either flag. She understands that she is not unified with those who could make this pledge and she is willing to be different. The little girl’s narrative signifies a different register from which one might hear. She offers a counter-narrative forged within Black Vernacular discourses. Despite existing within structurally oppressive conditions, the little girl is not merely an oppressed subject. She is also an actor who invokes critique to perform an ethico-political philosophical intervention – a resistant disruption that becomes possible because of her engagement with Black Vernacular ancestral discourses. In closing, it is worth noting that the little girl’s narrative took place decades before the recent demands that South Carolina and now Mississippi alter their relationship to the Confederate flag. Listening to this alternative register also raises questions about the wealth of innovative Black Vernacular tools that could expand philosophical practices even in the academy. Excerpted from Devonya N. Havis, “‘Now, How You Sound’: Considering a Different Philosophical Praxis,” Hypatia 29, no. 1 (February 1, 2014): 237–52, doi:10.1111/hypa.12069. “Grisham, Morgan Freeman, Call for Change to Mississippi Flag – CNN.com,” CNN, accessed August 25, 2015, http://www.cnn.com/2015/08/17/us/grisham-freeman-mississippi-confederate-flag/index.html.